The Jason Wu x Eloquii Spring Collection Dropped and We Want It All! On the heels of a beautiful and successful holiday collection, Eloquii launches the Jason Wu x Eloquii Collaboration to take us into the warmer weather for spring! Spring has officially sprung and so have the newest plus size fashion collections! But did you know about this collab? 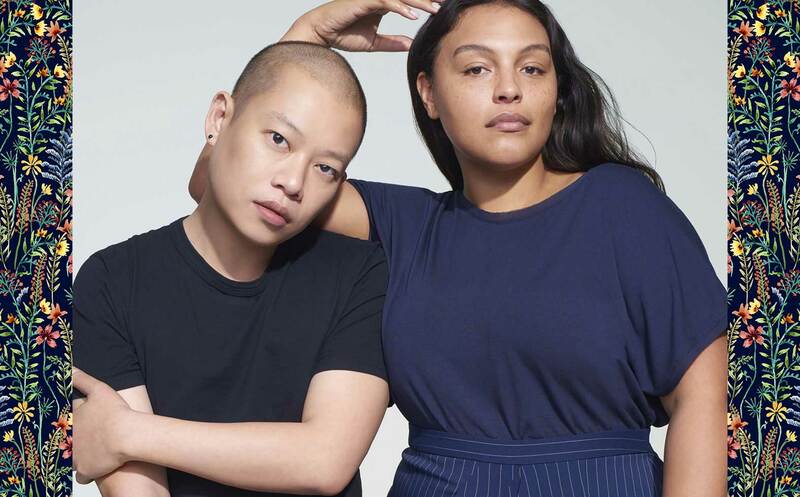 We missed this one, but online and now brick and mortar, plus size powerhouse Eloquii has launched their second installment of the Jason Wu x Eloquii Collection! On the heels of a beautiful and successful holiday collection, we are getting more Jason Wu amazingness to take us into the warmer weather. I don’t know about you but all of this newness has got me longing for Spring! The collection seamlessly merges ELOQUII’s fit expertise with Wu’s signature refined silhouettes for fashion-forward styles ideal for breezy spring days. And this collection? Is giving us life, excitement, and is definitely going to put a dent in my wallet- happily! There are dresses, suiting and tops to round out the collection. 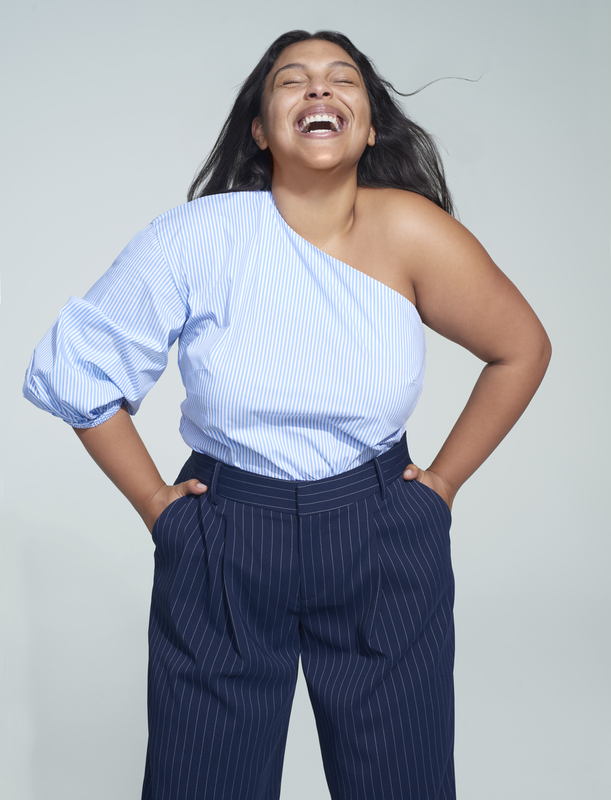 The beautiful Paloma Elsesser is back as the face (and BODY) of Jason Wu x Eloquii collection. Paloma brings the collection to life, giving us all the spring bossiness feels. From garden party chic to boss babe swag and after 5 slayage, this collaboration has your whole Spring covered! The Pinstripe Culotte Trouser and Belted Blazer are available in sizes 14 to 28 at Eloquii.com. Mobster chic in the boardroom with this pin-striped culottes suit (sold as separates)! The optional extra long belt brings another layer and another level to this cute suit! I mean… are you seeing the dopeness of this dress?? So timeless and chic and just plain OMG. This is immediately being added to our Timeless Classics List! I am loving the architectural pleat, I can see it draping elegantly over my fluffy middle. The Notch Collar Wrap Dress is available in Little Poppy and black in sizes 14 to 28 at Eloquii.com. The ease of a wrap dress but with the added detail of the high neckline, pockets (SQUEEE!) and midi length, although it will surely be maxi on all my shortness. If that wasn’t enough fabulousness, here are some bonus picks from the Jason Wu x Eloquii Collaboration! See what I mean? All kinds of fun and fab options in the Jason Wu x Eloquii collab! Even better? The collection will be available in sizes 14 to 28. 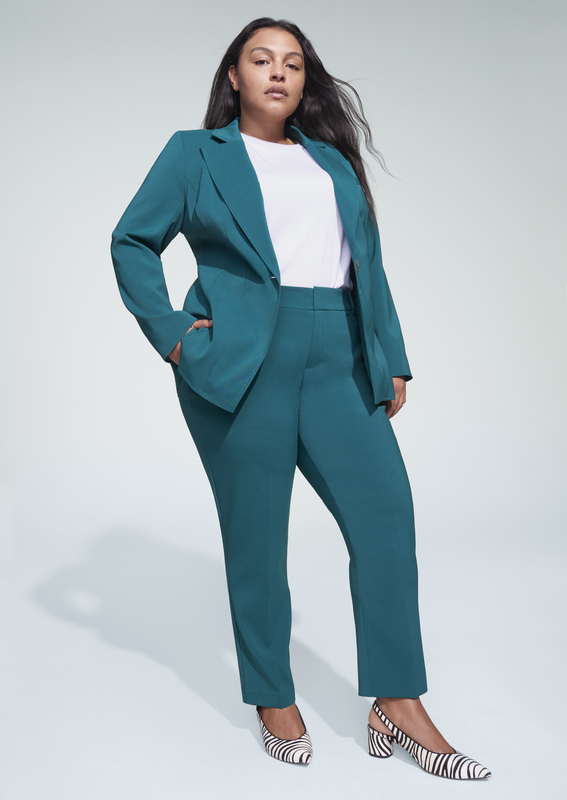 In addition, which we think is kind of really cool, is that the 26-piece collection will ALSO be available in ELOQUII stores, through Stitch Fix, Rent the Runway, Gwynnie Bee, and Nordstrom.com! Is this collaboration as great as the holiday one? What pieces have you drooling all over your keyboard? Be sure to let us know in the comments! Aspiring lifestyle blogger (let's see how far the introvert nerd in me will let that get) and self-proclaimed Facebook humorist, you can find me in Atlanta enjoying movies, art, music, food and festivals. If you can't find me that means I'm on my solo Netflix and chill.